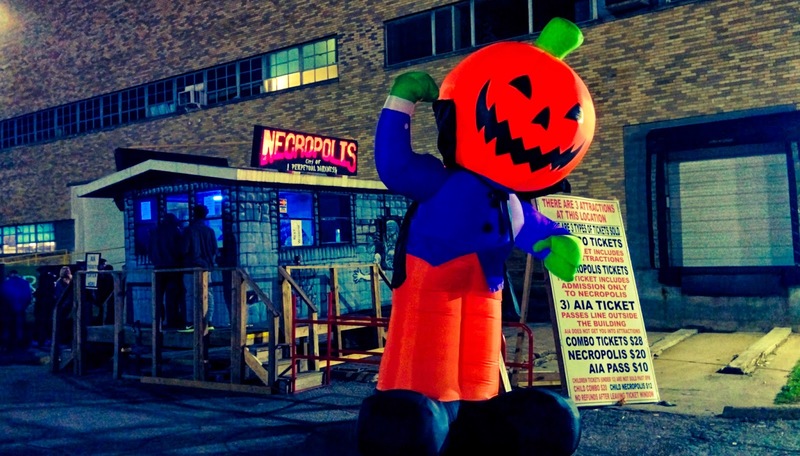 This past weekend we were finally able to check out Necropolis, one of Indy's most infamous haunts. Admittedly, I hadn't been to Necropolis in probably 8 or 9 years or so. One thing I remember from back then is that they were notorious for very little change from year to year? So how do they stack up in 2014? The first attraction you're guided to at Necropolis is their namesake haunt -- and let me just start out by saying that I thoroughly loved this attraction! The detail in the scenes is nothing short of amazing. The actors were great and kept delivering room after room. 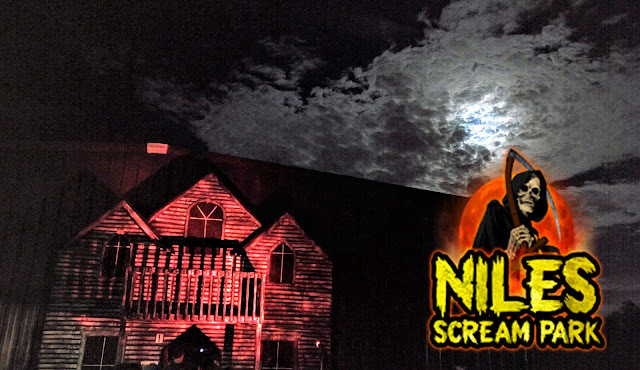 Sound and lighting were great and the overall atmosphere of was everything you're looking for in a great haunt. After Necropolis, you're immediately put into the line for their 3D haunt, Hellusions in 3D. Now, like I've stated before, I'm a sucker for a 3D attraction, so needless to say I was a little giddy for this one as well. The layout and design are great and there are some really great murals and illusions painted throughout (a large neon spaceship being my personal favorite), so that was a major plus. The only real negative that I took away from Hellusions in 3D was the lack of actor effort. While some seem to really try, there were others who just sort of stood around, occasionally growling or yelling. It's a shame considering how the scare actors in the previous attraction were all on their A-game. And lastly, after Hellusions in 3D, you wind up in the line for Dark Terrors. I wasn't too sure what Dark Terrors was all about, but afterwards, I was left with the feeling that this could have easily just been an extension of Necropolis, the first attraction. The themes and designs were on par and the scare actors were much better than those of Hellusions in 3D. Nevertheless, Dark Terrors was a great way to end our experience. So, after not having visited Necropolis in close to a decade, I came away from my 2014 visit with tons of joy. Like a fine wine, Necropolis has only gotten better with age. 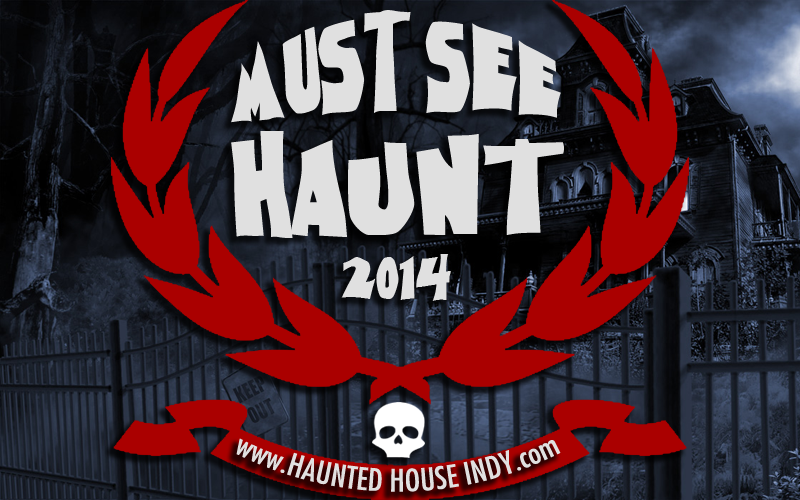 Their namesake haunt is definitely not one to be missed, and so we officially designate Necropolis as a 2014 Must See Haunt -- making it, so far, the scariest haunt that Indianapolis has to offer!